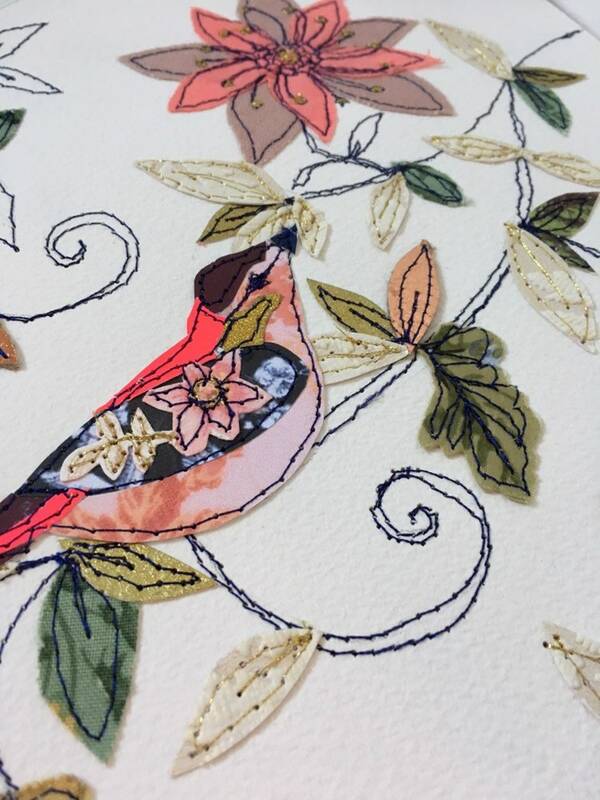 Lovingly and carefully created using a selection of vintage fabrics, wallpapers and printed papers(some designed by myself) with plenty of stitching added! 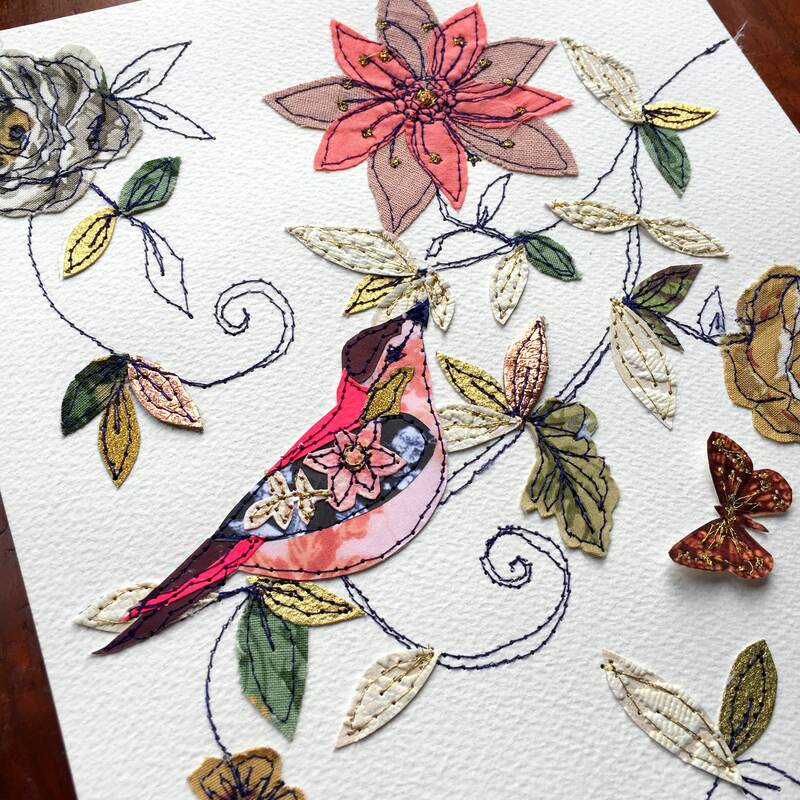 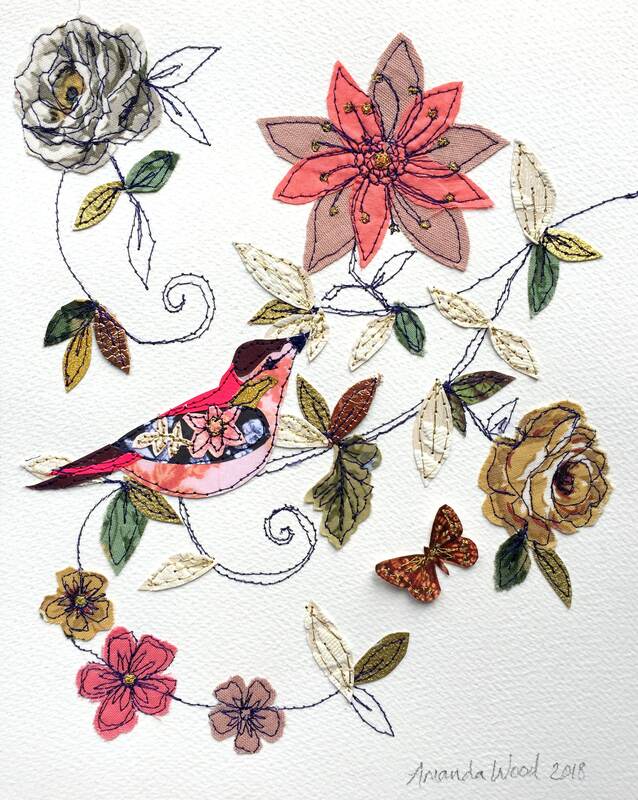 This piece has a beautiful bird sitting in the branches of a gorgeous garden in bloom. 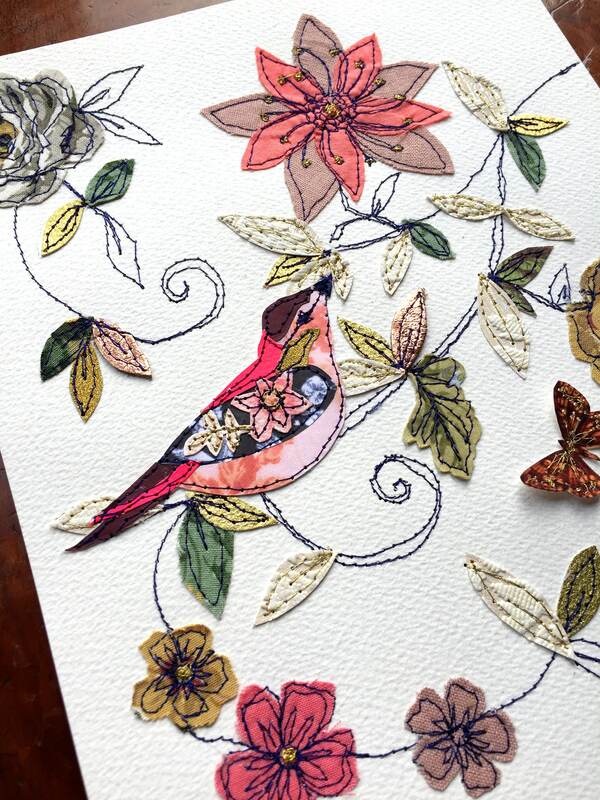 Carefully & securely packaged in cellophane and a board backed envelope for shipping, posted first class recorded.